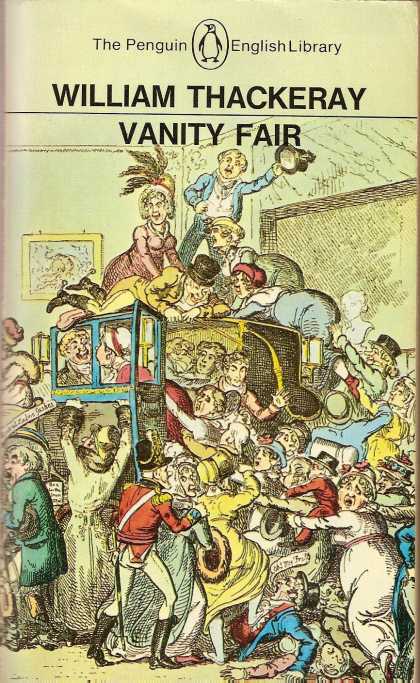 As we begin celebrating the bicentenary of the publication of Mansfield Park [it was first advertised on May 9, 1814 in The Star], I post here all the references that Jane Austen made in her letters to her third book. My intention for the year ahead is to post about MP’s publishing history and the variety of illustrated and collectible editions. 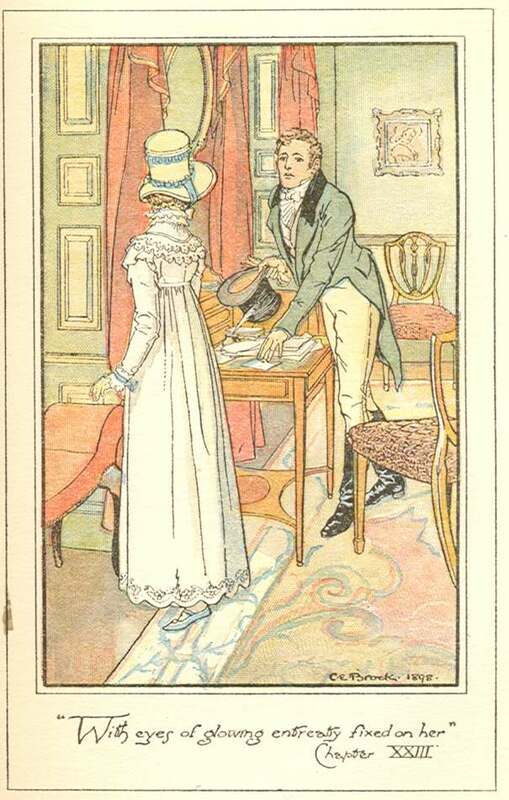 Then a post on Austen’s own “Opinions of Mansfield Park” where she collected and recorded all the comments from family and friends [she also did this for Emma] – she may have called P&P her “own darling Child” – but I think it is “universally acknowledged” that her very own favorite was MP – she seemed most concerned about others’ reactions to it and was discouraged that no review of MP appeared at the time of its publication. And then I will post on sequels / continuations – not as many as the other works [doesn’t anyone think of Edmund as a romantic Hero? – why hasn’t an oversized sculpture of him been dragged into the Serpentine? ], but interesting all the same! 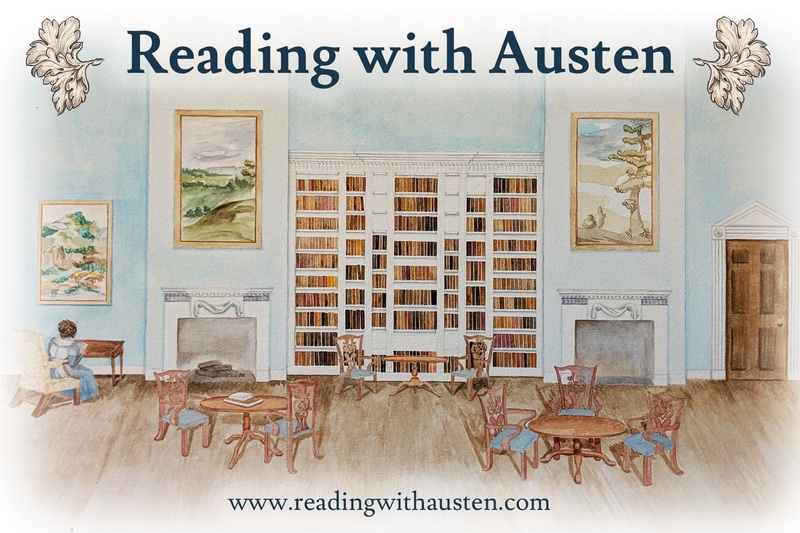 … But first: her own commentary on MP – again, there is that feeling of Austen hovering over my shoulder as I read the letters – if only one could ask the many questions we all have – if you could, what would you ask Jane Austen about Mansfield Park? 2. _____. Mansfield Park. Introd. Jane Stabler. Oxford, 2008, c2003. 2. Gilson, David. 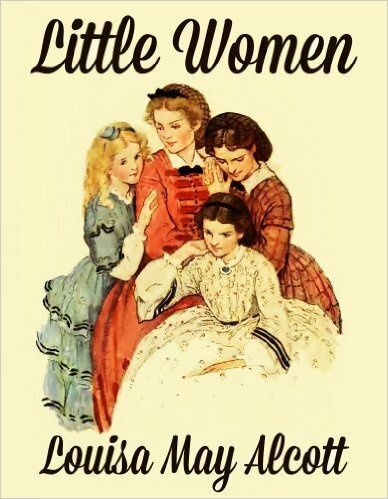 A Bibliography of Jane Austen. Oak Knoll, 1997. 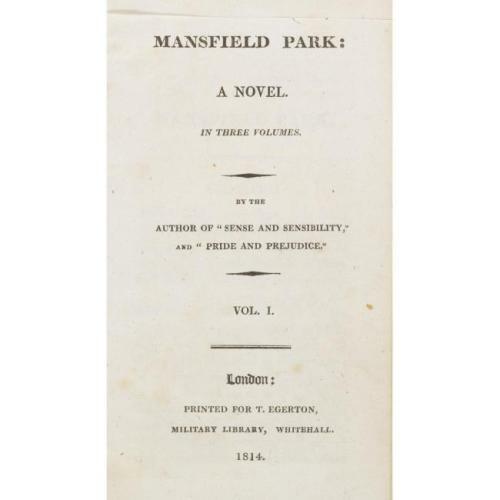 Image: Mansfield Park 1st edition, Printed for T. Egerton, 1814. I learn from Sir J. Carr that there is no Government House at Gibraltar. – I must alter it to the Commissioner’s. As soon as a Whist party was formed & a round Table threatened, I made my Mother an excuse, & came away; leaving just as many for their round Table, as there were at Ms. Grants. – I wish they might be as agreable a set. NOTE: round table = eleven, less 4 for whist, and JA, leaves 6. The round table in MP consisted of Lady Bertram and Edmund, 2 Prices, and 2 Crawfords [Le Faye, 410]. Now I will try to write of something else; – it shall be a complete change of subject – Ordination. I am glad to find your enquiries have ended so well. – If you discover whether Northamptonshire is a Country of Hedgerows, I sh’d be glad again. Ltr. 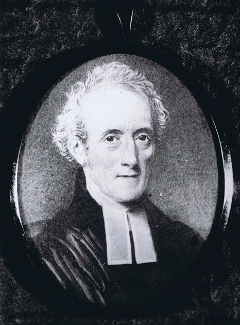 82 Tuesday 16 February 1813. 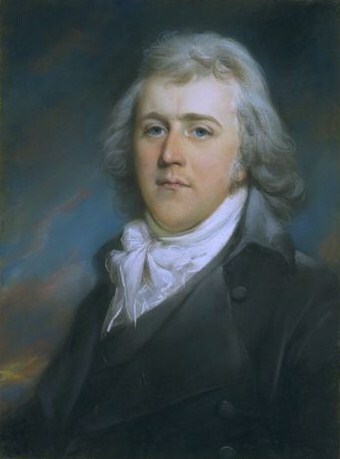 From Chawton to Martha Lloyd [in Kintsbury]. (p. 208). 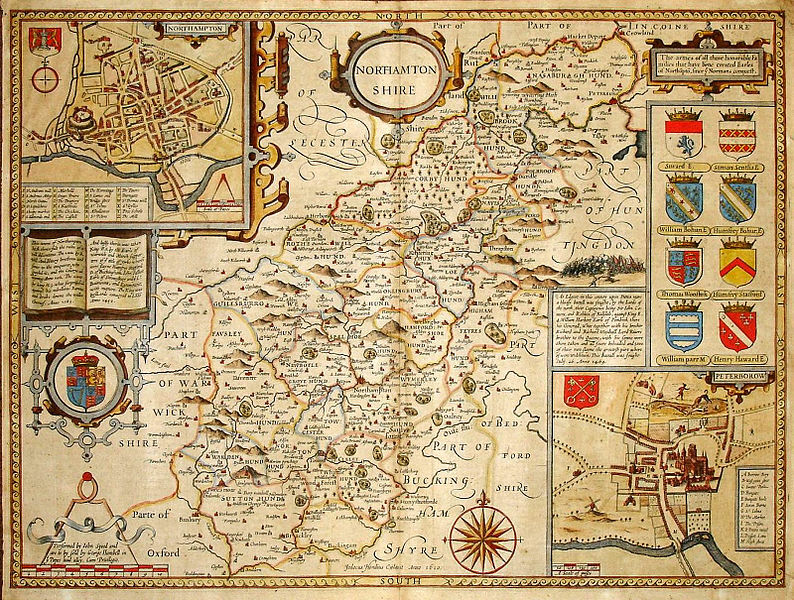 A reference to her questions about Northamptonshire as in the above letter to Cassandra. You will be glad to hear that every Copy of S&S is sold…I have now therefore written myself into £250. – which only makes me long for more. I have something in hand – which I hope on the credit of P. & P. will sell well, tho’ not half so entertaining. 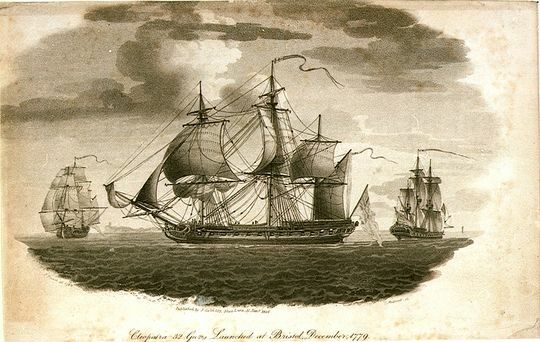 And by the bye – shall you object to my mentioning the Elephant in it, & two or three other of your old Ships? – I have done it, but it shall not stay, to make you angry. – They are only just mentioned. NOTE: the ships mentioned in MP are the Cleopatra, Elephant, and Endymion. 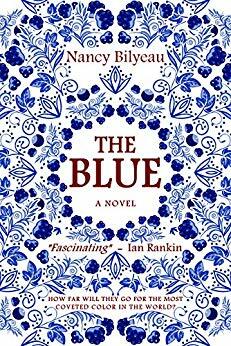 Where she thanks her brother for permission to use his ships, tells him that the great Secret of her as author is now quite public, and goes on to lay the blame on Henry for telling all! 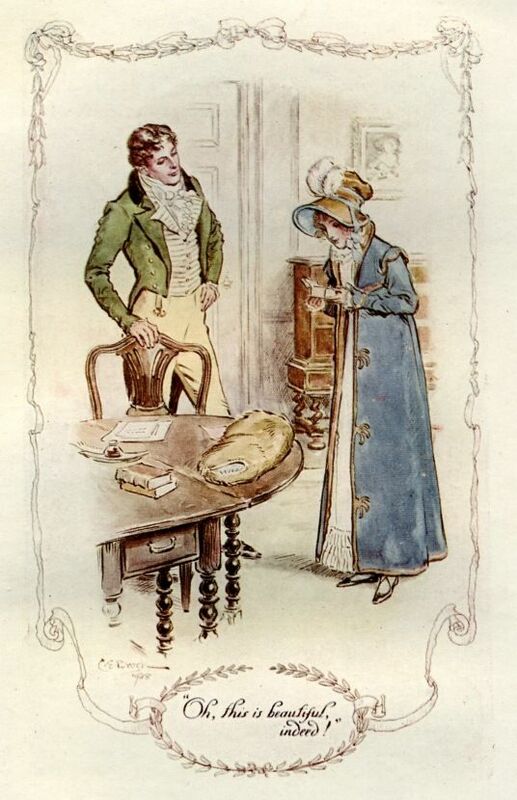 Austen is travelling with Henry to London – it is assumed the reading she refers to is the proof-sheets of MP – she is returning to London in hopes of having Egerton publish the book in April. We did not begin reading till Bentley Green. Henry’s approbation hitherto is even equal to my wishes; he says it is very different from the other two, but not appear to think it at all inferior. He has only married Mrs. R. I am afraid he has gone through the most entertaining part. – He took to Lady B. & Mrs. N most kindly, & gives great praise to the drawing of the Characters. He understands them all, likes Fanny & I think foresees how it will all be. Henry has this moment said that he likes my M. P. better & better; – he is in the 3d vol. 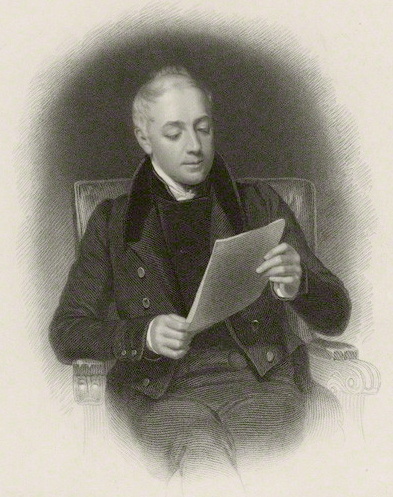 – I believe now he has changed his mind as to foreseeing the end; – he said yesterday at least that he defied anybody to say whether H. C. would be reformed, or would forget Fanny in a fortnight. Henry has finished Mansfield Park. & his approbation has not lessened. He found the last half of the last volume extremely interesting. Perhaps before the end of April, Mansfield park by the author of S&S.– P.&P. may be in the World. Keep the name to yourself. I sh’d not like to have it know beforehand. We have called upon Miss Dusautoy & Miss Papillon & been very pretty. – Miss D. has a great idea of being Fanny Price, she & her youngest sister together, who is named Fanny. 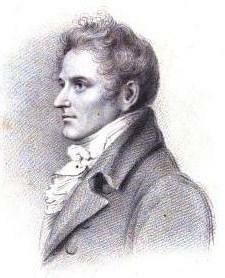 Mr. Barlowe is to dine with us today, & I am in some hope of getting Egerton’s account before I go away. Ltr. 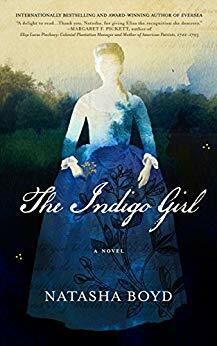 72 (p. 186): We have tried to get Self-controul, but in vain.- I should like to know where her Estimate is – but am always half afraid of finding a clever novel too clever – & of finding my own story & my own people all forestalled. Ltr. 91 (p. 234). I am looking over Self-Control again, & my opinion is confirmed of its’ being an excellently-meant, elegantly-written Work, without anything of Nature or Probability in it. I declare I do not know whether Laura’s passage down the American River, is not the most natural, possible, every-day thing she ever does. Thank you – but it is not settled yet whether I do hazard a 2d Edition. We are to see Egerton today, when it will probably be determined. – People are more ready to borrow & praise, than to buy – which I cannot wonder at; – but tho’ I like praise as well as anybody, I like what Edward calls Pewter too. NOTE: We know that Egerton did not publish this hoped for 2nd edition – Did he refuse? Did he not offer good terms? Or was Jane Austen displeased with Egerton’s printing of the 1st edition? 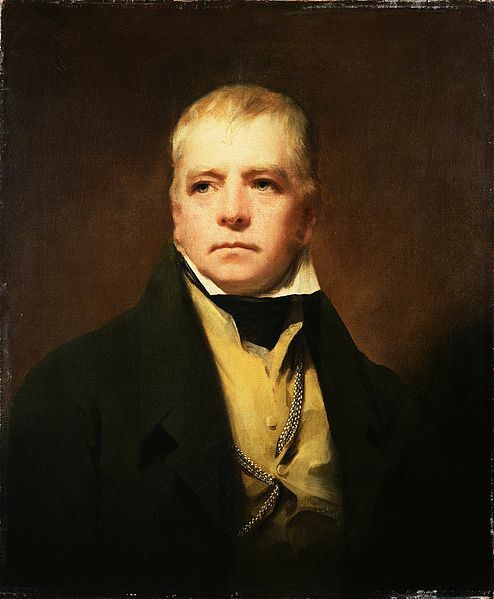 We do not know, but Austen moved to the firm of John Murray to publish her Emma, and Murray took on the 2nd ed of MP, which was published on February 19, 1816. Mr Murray’s Letter is come; he is a Rogue of course, but a civil one. He offers £450- but wants to have the Copyright of MP. & S&S included. It will end in my publishing for myself I dare say. – He sends more praise however than I expected. It is an amusing Letter. You shall see it. I include this letter because it shows Henry’s involvement in his sister’s publishing history – he was very ill at the time and Jane was his nurse. 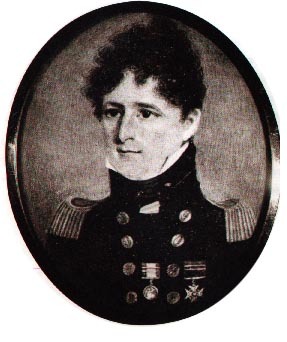 She was in London at Hans Place to negotiate the publication of Emma, as well as the 2nd ed. of MP… [see my previous post on this letter ] – I just love the line: “great Error in my Arithmetical Calculation”! My Brother’s severe Illness has prevented his replying to Yours of Oct. 15, on the subject of the MS of Emma, now in your hands-and as he is, though recovering, still in a state which we are fearful of harrassing by Business & I am at the same time desirous of coming to some decision on the affair in question, I must request the favour of you to call on me here, any day that may suit you best, at any hour in the Evening, or any in the Morning except from Eleven to One. – A short conversation may perhaps do more than much Writing. My Brother begs his Compts & best Thanks for your polite attention in supplying him with a Copy of Waterloo. Mr. H. [Haden] is reading Mansfield Park for the first time & prefers it to P&P. I return also, Mansfield Park, as ready for a 2d Edit: I believe, as I can make it. I must make use of this opportunity to thank you, dear Sir, for the very high praise you bestow on my other Novels – I am too vain to wish to convince you that you have praised them beyond their Merit. My greatest anxiety at present is that this 4th work shd not disgrace what was good in the others. … I am very strongly haunted with the idea that to those Readers who have preferred P&P. it will appear inferior in Wit, & to those who have preferred MP. very inferior in good Sense. 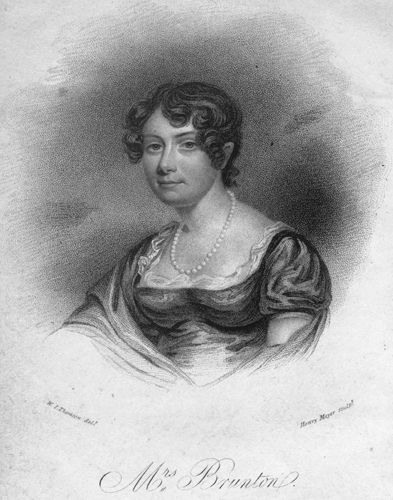 NOTE: At the time, many believed the Countess of Morley to be the Authoress of both S&S and P&P. I return you the Quarterly Review with many Thanks. The Authoress of Emma has no reason I think to complain of her treatment in it – except in the total omission of Mansfield Park. – I cannot but be sorry that so clever a Man as the Reveiwer of Emma should consider it as unworthy of being noticed. And I ask again: if you could, what would you ask Jane Austen about Mansfield Park? 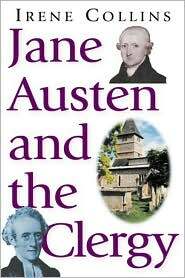 This entry was posted in Austen Literary History & Criticism, Books, Jane Austen, Jane Austen Circle, Jane Austen's Letters, Literature, Publishing History and tagged Jane Austen, Jane Austen Letters, Jane Austen Publishing History, John Murray, Mansfield Park, Thomas Egerton. Bookmark the permalink. ← Mr. Darcy’s Feelings; Or, More on the Inner Life of Jane Austen’s Hero. Volume III, Part 2. A quick response – Deb, this post is a tour de force! 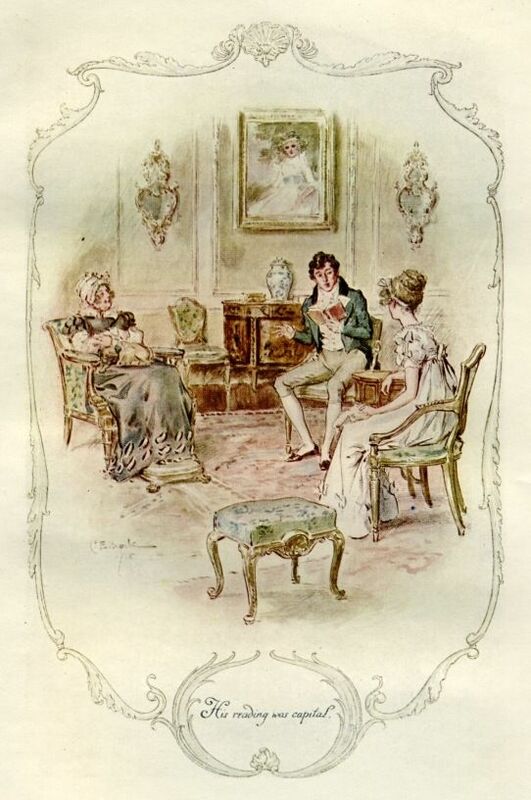 However, Jane Austen also collected “Opinions of Emma”, so MP was not the only novel for which she did that. I cannot remember at the moment where it is suggested she might have started collecting them because MP did not received any review at the time of its publication, latter on she followed by collecting those on E. Of course there are none from NA or P since they were posthumously published. You are correct Cinthia about Emma – I had a complete brain lapse there! – yikes! – and have them right on my bookshelf in Chapman’s Minor Works as well as Southam’s Critical Heritage – there are a good number of “opinions of Emma” and it did receive reviews at the time, unlike MP, which I think discouraged her a great deal… thanks for the heads-up! – have corrected my “lapse” and submitted to 20 lashes with a wet noodle… and shall remain shame-faced most of the day…! It’s fascinating to trace Austen’s references to MP in her letters – thanks for the guided tour, Deb! 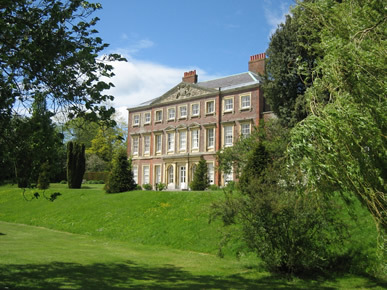 And thank you very much for sharing the link to the series of guest posts celebrating 200 years of Mansfield Park on my blog. I’m really looking forward to reading your guest post on the “dead silence” that follows Fanny’s question about the slave trade.